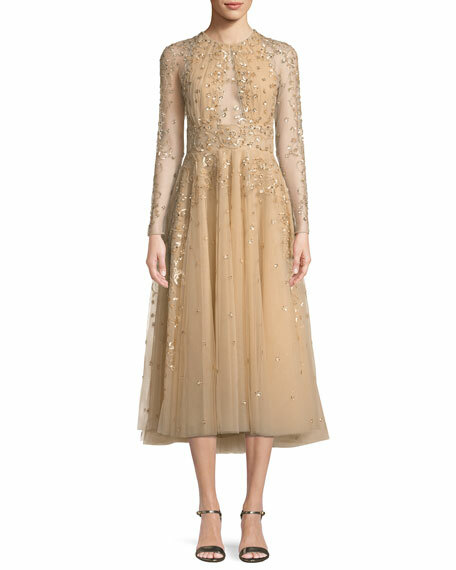 Zuhair Murad embroidered tulle cocktail dress. 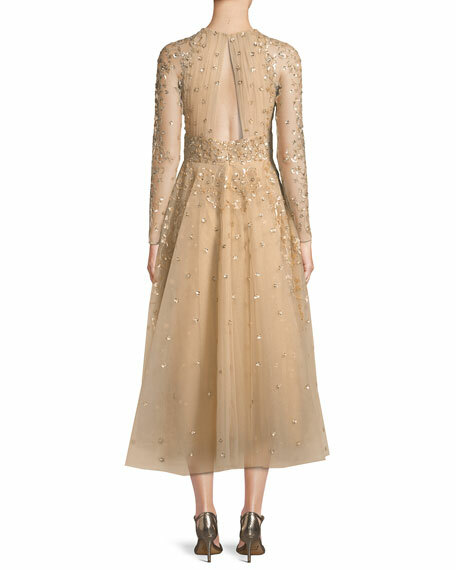 Designer Zuhair Murad grew up in Baalbek, Lebanon. Since childhood, he always dreamt of evading to a world of fantasy. What truly makes each collection special is his craftsmanship. Murad masters the art of showing off a woman's curves and evoking a feeling of sensuality mixed with femininity. For in-store inquiries, use sku #2490845.